Product prices and availability are accurate as of 2019-04-13 12:58:22 EDT and are subject to change. Any price and availability information displayed on http://www.amazon.com/ at the time of purchase will apply to the purchase of this product. 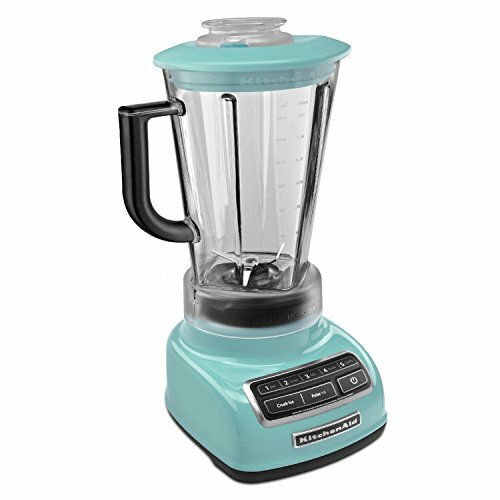 Stir, chop, mix, puree and liquefy with ease using this five-speed Diamond blender from KitchenAid. 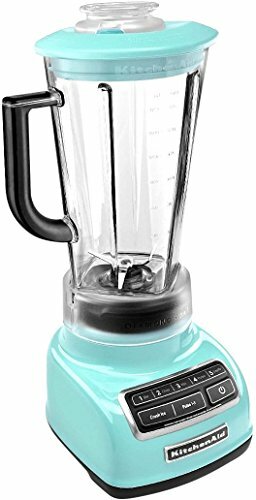 This die-cast metal countertop blender comes with a scratch- and shatter-proof diamond pitcher that is guaranteed to make your delicious signature strawberry and banana smoothies for years to come. With ice crush mode and a pulse mode for staggered, more efficient blending in addition to the pre-programmed five speeds, the stainless steel blades can produce quality smoothies, shakes, purees, and soups. The Intelli-Speed motor control senses contents and maintains optimal speed to power through all ingredients. The diamond blending system ensures that all ingredients blend together quickly and efficiently and combine with the super-strong pitcher to create optimum blended results. The base is back-lit with LED lighting to make operation as easy as possible. The pitcher is removable and dishwasher safe. The KitchenAid 5-speed diamond blender is proudly made in the United States.